Vape pens come in all shapes and sizes: from small and thin to large and round. When looking for a device for yourself or someone else, one main consideration is always ease of use. You want something simple to start out with that doesn’t take a lot of technical knowledge to operate. The Smok Vape Pen 22 is as basic as they come, with no frills, no bells or whistles, and just one button to press. I was looking at this device as something I would give to my mom because it is so easy to use. A lot of older people aren’t that tech-savvy and avoid things that are complicated but this is so easy anyone could use it. That is really it’s selling point, ease of use. There is no menu system, no setting wattage, no fiddling of any kind. Just fill and vape. And it comes with a micro USB cable for charging that allows you to vape while it charges. This is really almost an AIO device because the base of the tank is actually permanently attached to the mod. The base and o-ring are on the mod along with the airflow holes. The glass section slides over the o-ring and settles onto the base and then the top cap screws on to secure the tank. This vape pen is basically designed like a lot of others. It’s a basic tube-style device with a built-in tank. In fact, it resembles some similar Smok products like the Smok Stick X8 and Prince models, except that these versions come with a separate tank that is removeable. I would consider the 22 the beginning Smok vape pen because it has the least amount of functions. It is sleek and nice looking, comes in a few different colors and is super easy to use. Great device for a beginning vaper. Durability is about average. It is made out of stainless steel and is pretty durable without the tank section. I haven’t had it roll off my desk yet, but it does seem like if it did it would survive without much damage.My desk is pretty low (only a few feet to the floor) so I doubt it would get more than a scratch or two. This device is super easy to use. There is only one button. No menus, no LED screen, just simple on and off. The wattage is set by the atomizer coil so all you do is press the button and vape it. There is really nothing to it. The Smok Vape Pen 22 is a basic beginner sub-ohm vape pen. It comes with a .3 ohm coil pre-installed and the maximum wattage is probably around 50 – 55W (a guess). That is about what it feels like when you vape it. I tried to look for an exact wattage listed on the manufacturers website but wasn’t able to find anything to confirm it. It’s a cool vape with lots of flavors and great vapor. One thing that this vape pen does well is create lots of vapor. Really, the vapor production is pretty close to that of the Smok Stick Prince. This device is a top-fill device. However, there is one small issue that a lot of people have had problems with, and that is the coil coming out of the base when you unscrew the top cap. I had another tank that was similar to this, a Cleito tank, that used to do the same thing. The problem is that the top threads attach to the cap either from not being screwed in tight enough when installing or from the top cap being overtightened. One way to avoid this problem is to make sure that the coil is in tight. Also, hold the tank section firmly while removing the cap, and finger tighten the top cap after refilling. The above section outlines the way to avoid leaks with this device. The only issues with leaking occur when the coil separates from the base while the cap is removed. I have had no leaking otherwise. Cloud production is really very good, despite the limitations of a basic device such as this. There are no elaborate airflow controls, no high-tech gizmos, just a basic coil and bottom airflow control. Some of the best flavor from a basic tank. I can taste the flavor of the juice, a sweet peach tea, exactly the way it should taste. It does not mute the flavor at all and it produces good vapor as well. This is a great value because as of now, this device is priced below $20 for the kit. In my opinion, it is a steal at that price for a complete vape kit. 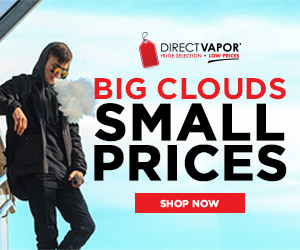 A whole set up for less than the price you’d pay for 2 bottles of e-liquid is a deal too good to pass over. 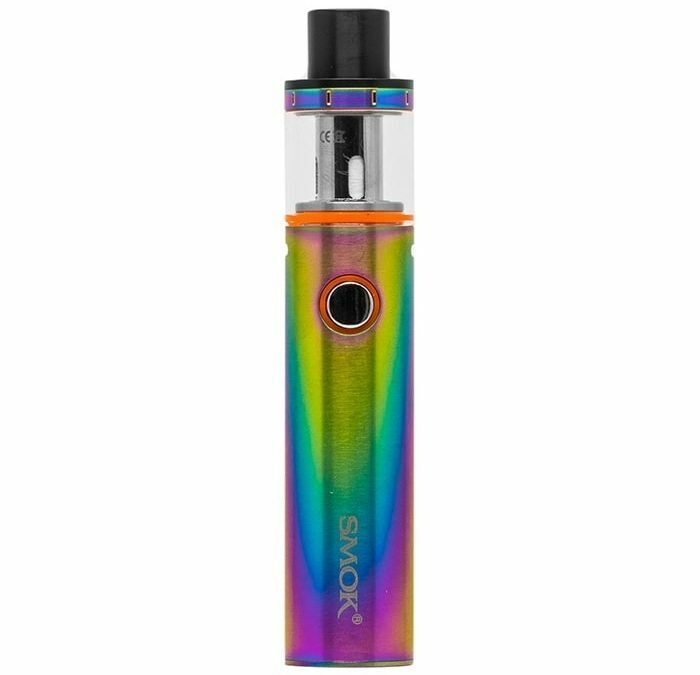 The Smok Vape Pen 22 is perfect for new vapers wanting to step up from a smaller device, or maybe to try sub-ohm vaping on a lower scale. It is easy to use, priced affordably and has all the same user protections as the higher priced mods. Definitely worth getting one for yourself or a loved one.